Mike Gilmour at the same institution where he’s now a New Testament professor. 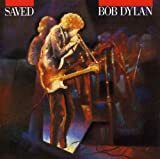 I didn’t know at the time that he was a Bob Dylan fan, but he’s since written a book about the biblical themes in Dylan’s music, so I guess one could say he’s well-versed in the topic. 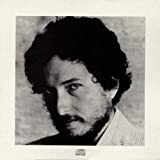 I imagine books like his Tangled Up in the Bible: Bob Dylan & Scripture (CBD Link) represent an awakening to the spiritual themes ushered forth from places long-considered by the church to be simply “unspiritual.” This is a good thing, but let’s come back to it. 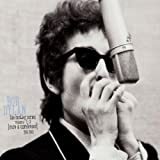 Following this song, we move into I Shall Be Released, which has appeared on a number of albums, the earliest being Bob Dylan’s Greatest Hits, Vol. 2 in 1967. 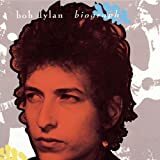 According to Robert Shelton’s biography No Direction Home: The Life And Music Of Bob Dylan, after Dylan’s motorcycle accident in 1966, when he was seriously injured at the age of 25, he retreated from the spotlight after suffering a great disappointment at the reception to his European and American tour dates — he’d been booed offstage and called a traitor; attendance dropped at some of his concerts. Dylan withdrew not only to recuperate, but to spend time with his family and in self-reflection. Shelton suggests the song represents Dylan’s search for personal salvation. At the close of the liturgy, we tend to sing our way out with a concluding thought set to music. Last night it was Pressing On, from Saved. To the higher calling of my Lord. This is a song which for me speaks of perseverance born of hope, and is therefore a fitting follow-on to “I Shall Be Released.” One of the things which we must take away from a gathering is a sense of hope and endurance, and this song voices a renewed resolve to persevere in the calling of the Lord. A fitting way to end the evening. I’ve never done the U2charist, though I doubt (no offense to U2) that it would really resonate with me nearly as much as this did. All in all, I would say that the “Dylan Liturgy” was a successful event, and hope to see it return with some of Dylan’s other works, perhaps something fitting in with Lent or even “In the Garden” during Easter, or even the final week of Lent. Someone suggested that if Mike could do a Dylan Liturgy, then they could do a Van Morrison Liturgy. One can only hope! As we do away with the false dichotomy between sacred and secular, we begin to discover more art — like music — that speaks of the artist’s desire and spiritual longing. As such, these translate easily (if they need any at all) to give voice to our own spiritual longings, common waypoints on our journeys. Van Morrisson, Bob Dylan, and U2 are only three examples… of course there are many others (offer suggestions in the comments). I say “discover,” but of course, some have known this for quite some time, or all along. Update: The news of Dylan visiting Neil Young’s old haunts made news on Rolling Stone as well as in the local media. thx for sharing. i am a dylan fan from youth, and i have often been impacted by his spirituality. must have been a great liturgical experience. God, I love Dylan! What a great poet! I’ve often said that if I were on the proverbial desert island and could only have one person on my mp3, it would be BD. Man a “Dylan Liturgy” sound pretty cool. Would love to have participated, but I’m keeping your post as a future resource. Never know when an opportunity might come around. And BM, next time Dylan is in town, don’t miss him. You will regret someday not having attended a live concert of his :-). As the priest who presided at this liturgy I might be accused of being a little biased here… but I have to tell you that Mike Koop’s five piece ensemble offered up great versions of some pretty amazing tunes. The thing that really got to me was how he blended together musicians from very different “tribes” to create an entirely compelling sound. Mike himself was something of a minor legend in the Canadian punk scene a decade or so back; the bass player still anchors a very fine local goth outfit with a solid recording history; the percussionist comes with strong West Indian roots; the pianist has played all sorts of stuff, and is currently on a serious jazz kick; while saint ben’s music staffer Larry Campbell (who usually holds things together with his bass, but in this ensemble played percussion and did background vocals) spent a couple of decades in the country music scene. And it all worked. 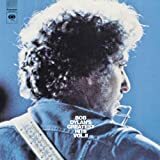 Wow – my husband is the same age as Bob Dylan, and still pressing on….I guess that’s one reason I still love Bob, AND my wonderful man after all these years. After 2 heart attacks (him) and 2 bouts of cancer (me), we are STILL pressing on and attending Bob’s concerts all over the southeast. The next liturgy for all us Old Rockers will be the REAL one – hope to see Bob there.